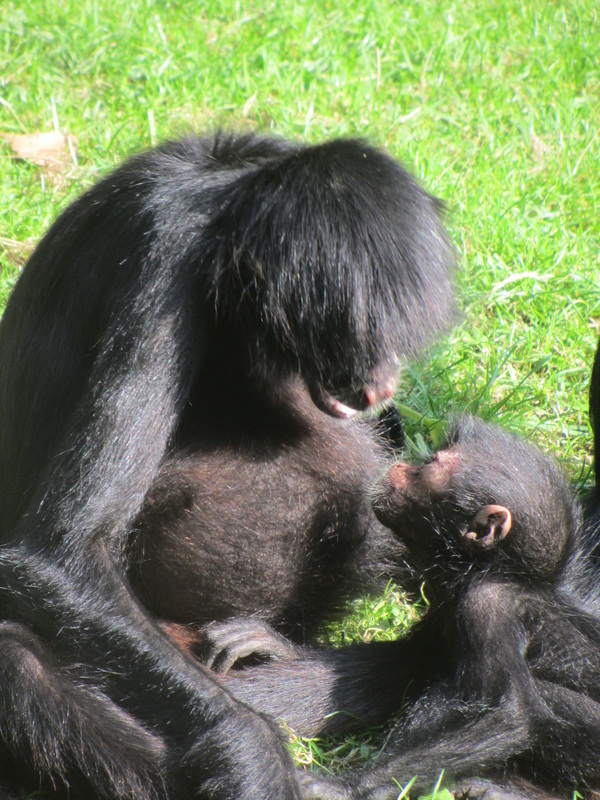 Banham Zoo is about a thirty-five minute drive from Bury St Edmunds into Norfolk just past Kenninghall. It is big enough to entertain your little ones for the day but not so big that you can't see everything in one visit. The zoo has very well maintained paths which are well suited to buggies, and a couple of off-road walks which are easier on foot. The only issue I had with a buggy was access to the toilets in the restaurant (the outdoor ones are much more accessible), and access to and from the gift shop, which is also the entrance and exit to the zoo. It would be fine if you have someone with you to hold doors open for you, but they are quite tight spaces to squeeze through on your own! I don't tend to bother taking the buggy any more so there's no problem. 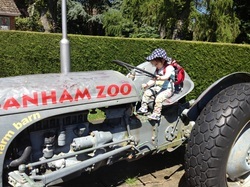 There is a little road train that does a little round trip of the zoo every fifteen minutes or so at peak times like half term and school holidays. It is quite a good way to see what you would like to find on foot as there are many routes available. 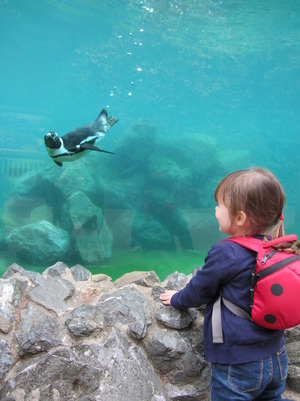 Walking round the zoo in a clockwise direction, you will pass Owls, the Aviary, the Australian Paddock, Zebras, Wolves and the Birds of Prey, where there are flying displays at peak times. There is a large building which houses "Amazing Animals! 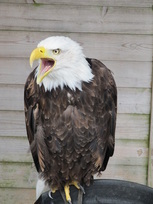 ", the zoo's interactive show, which gives children a chance to meet some of the animals. It is on every day at lunch time. I finally took Amelia to see it, as I thought she might be able to sit through it for thirty minutes. She was thrilled at the birds flying over us, and watching the armadillo running to and fro across the stage. I'm glad I didn't go before she was two, it would have been a struggle! There is a very impressive-looking high ropes course called "Sky-trek" which is for adventurous kids with a good head for heights. Behind that is the huge giraffe paddock, which you can walk all the way round. 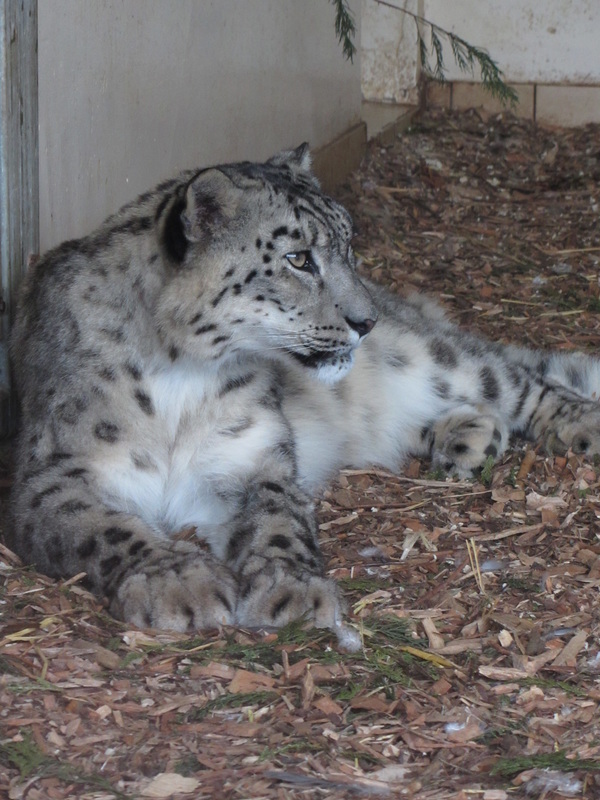 Then there are a variety of big cats, including snow leopards, cheetahs and tigers, who have just had cubs! There is a small lake with a variety of ducks and geese, which looks out onto the prairie marmots' field. 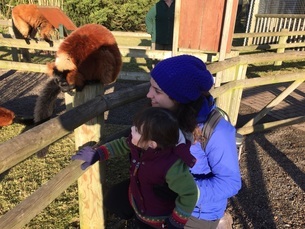 The lemur enclosure has the option of walking inside it so you can see the lemurs much closer than normal. This seems to only operate at peak times, but you can ask for it to be opened for you. 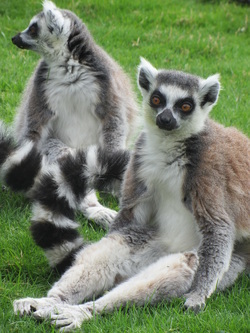 The train station is right outside the lemur's enclosure and has a buggy park and toilets next to it. Behind it is the Woodland Walk, which is home to flamingos, as well as a little river with ducks and moorhens. Around the edge of the zoo are the various monkeys and apes, and the penguins. The penguins have an underwater viewing area too. 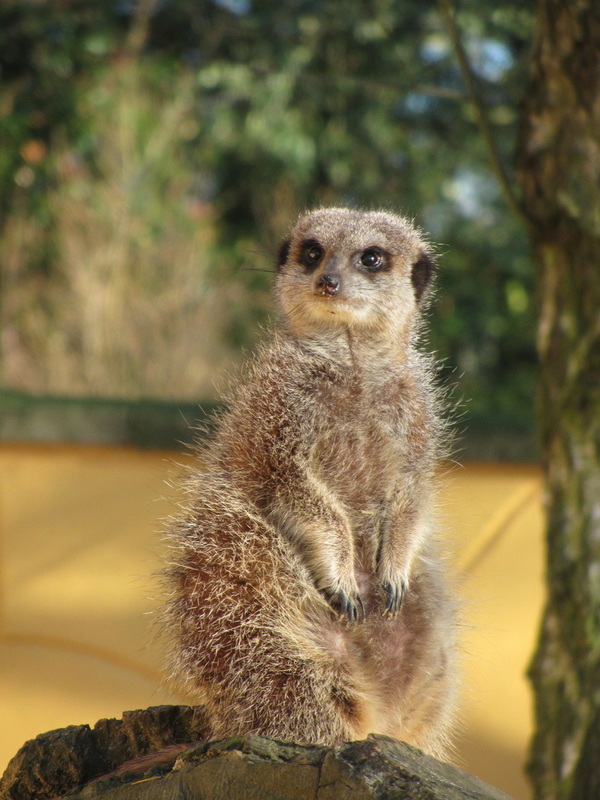 Further in, there are meerkats, otters, red pandas, camels, marmosets, birds and a variety of reptiles and insects. There is a new enclosure with lorikeets and various tropical creatures. The centre of the zoo has the food pavillion, with a variety of snacks and hot food, including some healthy snacks for little ones and even some gluten free options! There is seating inside and out, which is all under cover. There are plenty of high chairs available. Tantalisingly close to the restaurant is the play area, which has a good assortment of equipment for all ages. 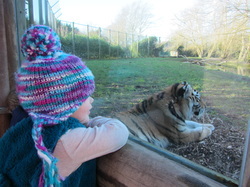 This is certainly not a cheap day out by any means, but it is so worth getting a season ticket, which gets you free entrance to their sister park, Africa Alive, near Lowestoft, and 50% off Dinosaur Adventure in Norfolk. You also get 10% off in the gift shops and restaurants. After just three visits it becomes a free day out! Also, I just found out that when you renew your membership, it is £5 cheaper!